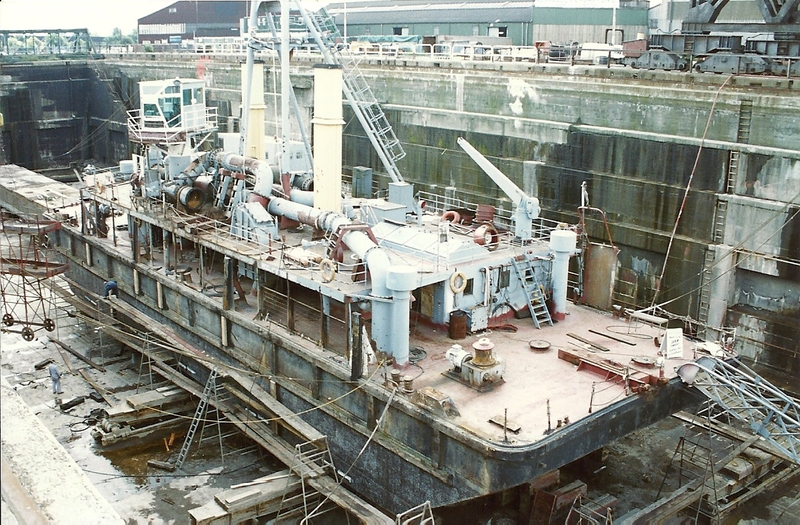 Two photos of a dredger in dry dock Tilbury in 6/87. 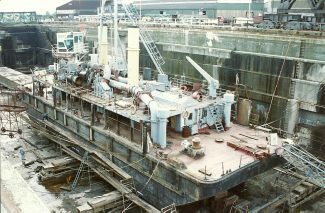 The colours seem to indicate that she is a PLA vessel. Has anyone any indication who she is? The floating pumping station at Rainham was known as the reclamation unit in 1963. 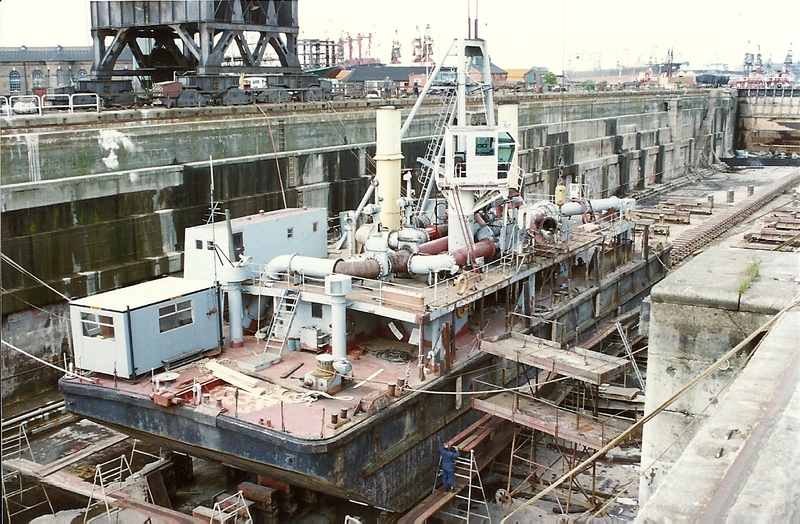 I worked on the pipe fabrication as an apprentice for Harland & Wolff at North Woolwich, although I was based at Tilbury Docks. 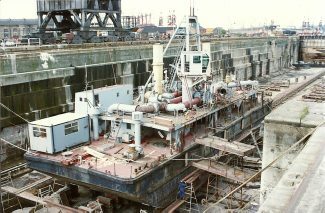 Two other persons on that job were Freddie Tomlin from Tilbury and Peter Caple from Chadwell-St.-Mary. As you say PLA,based at Rainham for pumping dredging spoil etc ashore on Rainham marshes.